Mohammed Hasanuzzaman’s research interests and activities over the past 6 years have mainly centered around areas including Natural Language Processing, Information Retrieval, Machine Translation, and Machine Learning application to NLP. 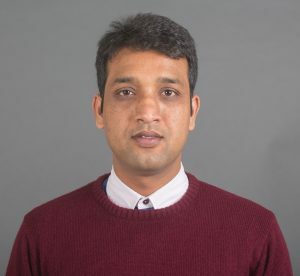 Mohammed Hasanuzzaman has published more than twenty papers in international journals and conferences including ACL, SIGIR, EACL, CoNLL, Hypertext, ECAI, Knowledge Capture, ESWC, IJCNLP, and K-CAP. Currently, Mohammed is working as a Post-Doctoral Research Fellow hosted by Prof. Andy Way at ADAPT Centre: The Global Centre of Excellence for Digital Content and Media Innovation, Dublin City University, Dublin, Ireland. Mohammed Hasanuzzaman earned his doctorate at GREYC-CNRS Lab hosted at University of Caen, France under Dr. Stéphane Ferrari. During his doctoral studies, he introduced a temporal ontology namely TempoWordNet where word senses are associated with their intrinsic temporal dimensions: atemporal, past, present, and future. The developed resource was released publicly in March 2014 and attracted a fair amount of attention from the research community. The resource is downloaded more than 10,000 times all over the world. TempoWordNet has also been hosted by open multilingual WordNets website, managed by Nanyang Technological University, Singapore. During his doctoral studies, Mohammed served one year (2014-2015) as chargé d’enseignement (Assistant Lecturer) for courses in different subject areas, including an introduction to programming languages and computer methodology for third year license (undergraduate) students of Computer Science at the University of Caen, France. After finishing his PhD studies, Mohammed joined Lamplight Analytics, a social media analytics company based in Hong Kong as Natural Language Processing Researcher. He worked briefly as Data Scientist with BrandCrafter Ltd., Hong Kong also. Prior to his PhD studies, Mohammed worked one year as a Senior Research Engineer at the Department of Computer Science, Jadavpur University, Kolkata, India. Additionally, he worked five years for West Bengal Industrial Development Corporation Ltd., Govt. of West Bengal, India as Officer-On-Special Duty.